We have been finding these nocturnal pests all over our service area. 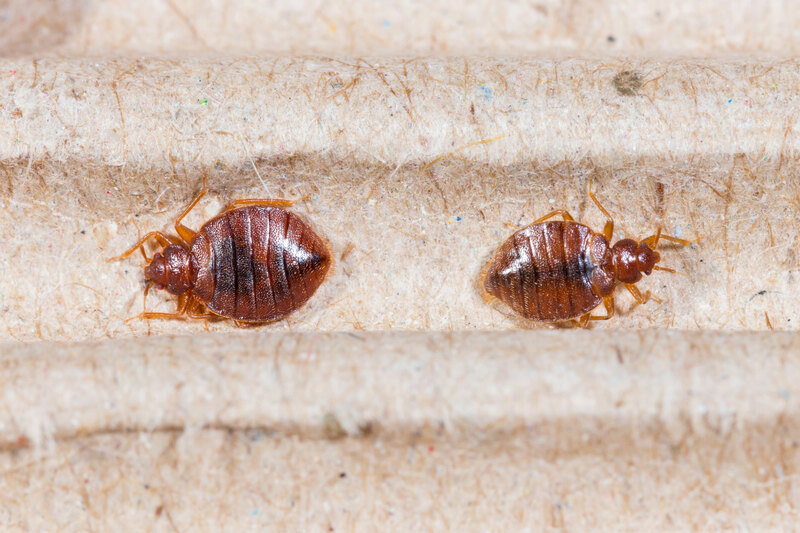 Bed bugs are small, oval, insects up to ¼” long, without wings and usually a mahogany red in color. Immature specimens will be much smaller and the color will vary with how recently they have fed. By the way, the only thing bed bugs feed on is the blood of animals or humans. They feed more like a mosquito with multiple light quick feedings than like a tick that can latch on for days. Immature bed bugs, called nymphs, shed their skins five times before reaching maturity and require a meal of blood before each shedding. Under favorable conditions, the bugs can develop fully in as little as a month and produce three or more generations per year. Although they are a nuisance, they do not transmit diseases. Proper control starts with permanently removing clutter from sleeping areas. Once the rooms are prepared a properly labeled residual insecticide is applied to treat the contents. Other control measures can include heat or freezing, but there will be no long lasting control with these methods. We will spend the time to treat every crack and crevice with a combination of insecticides designed to control every life stage. We strongly recommend the use of the mattress and box spring encasements that we offer at a discounted price to our customers. Service plans are available that cover a range of circumstances and budgets.